Fetch! was founded in 2012 by Jackie Lovern. Fetch! was born out of a desire to treat her dog, Sargent Pepperoni, to something that she knew was wholesome and healthy. 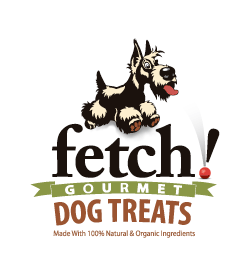 What started out as a hobby for her has blossomed into a thriving and growing business that serves the Buffalo region and beyond with completely all natural gourmet dog treats that are good enough for you to eat. Our continued growth is amazing to us. We love what we do and the dogs that we meet. Their humans, too! We routinely donate product to the SPCA Serving Erie County, we offer discounted pricing and baskets to help out local rescue groups and we give all veterans a discount as a ‘thank you’ for their service to our great country. The artists market has proven time and again that it is the premier event in the city for showcasing some of what is great about Buffalo and its people. It’s a no-brainer really. Everything comes back to life. The grass turns green, the birds are chirping, the flowers are blooming. Just watch out for the dog poop land mines in the back yard! The people. Hands down some of the coolest, and kindest people in the country.